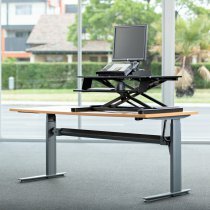 Electrical height adjustable workstation that can be placed on top of your existing desk to give you the option to sit or stand. 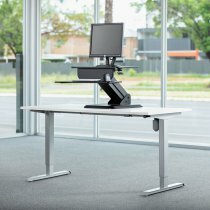 The MaxiShift-E is a versatile height adjustable Sit Stand Workstation that can be placed on your existing desk. Thanks to a generous platform, there is plenty of space to adjust the distance of your monitor and keyboard tray. 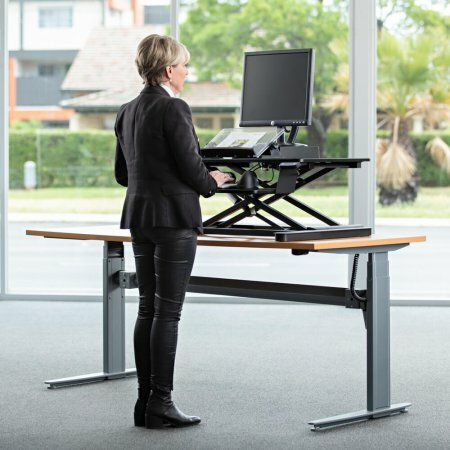 With a push of a button, the MaxiShift-E can go become a sit or standing workstation at 35mm a second. Up/Down button makes changing the position a breeze. Will stop at any height the user requires. Just plug it in and turn it on. 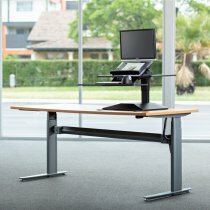 Enhance workplace connectivity and performance, and make your staff feel more comfortable with the MaxiShift-E Sit Stand Workstation. 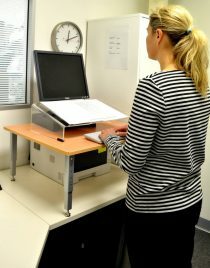 Find out how you can find the right workstation for you with our article on Sit Stand Workstations. Click here to read more.